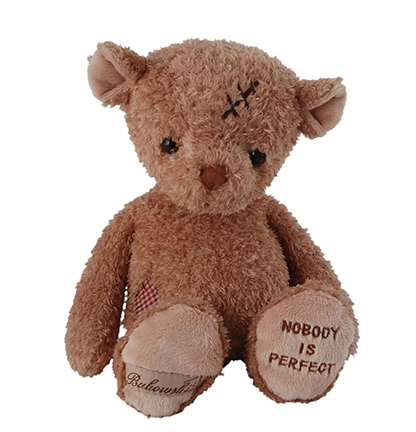 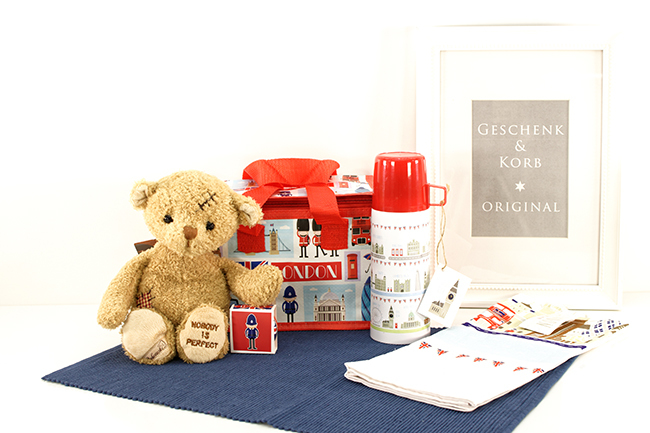 This delightful gift basket London comes with a high-quality teddy bear supplied by Bukowski, as well as a thermos bottle, a kitchen towel and a nourishing lip balm in a London themed cool bag! 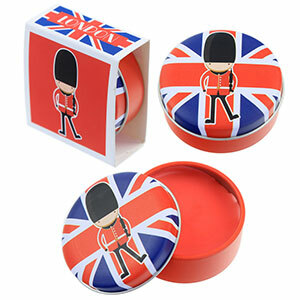 Great gift hamper for many occasions. 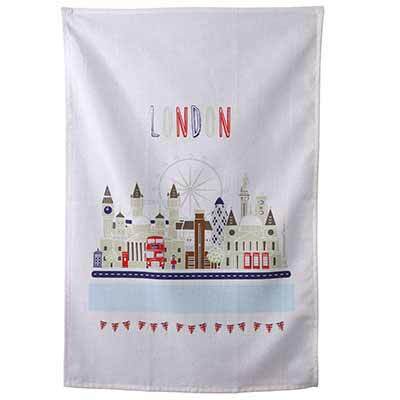 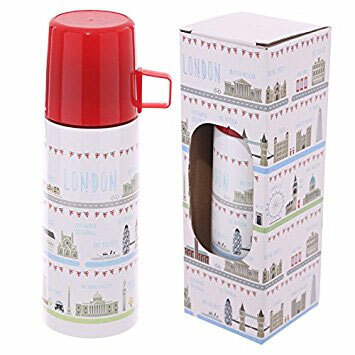 This great thermal bottle with London motif is easy to clean and convenient. 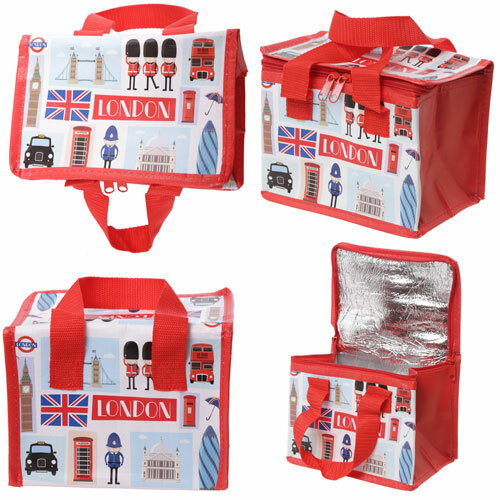 Thanks to its handy size it will fit perfectly into the side pocket of most backpacks.